Taskin, Mustafizur grabbed the spotlight in the final day of practice match. 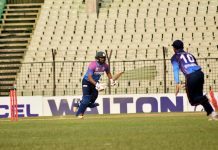 The two day practice match between Bangladesh and Sri Lanka BP XI ended in a drawn with a good batting practice for both sides. Bangladesh didn’t carry their innings from yesterday. It was Taskin Ahmed who gave the early breakthrough for the visiting side. Taskin removed WIA Feranndo and ISS Samarasooriya in space of 4 balls of the fourth over. Mustafizur Rahman picked up his first wicket by sending back RK Chandraguptha with a return catch. Taskin striked again before the tea break to dismiss ARS Silva. After tea, medium pacer Soumya Sarkar took the wicket of MLR Buddika. 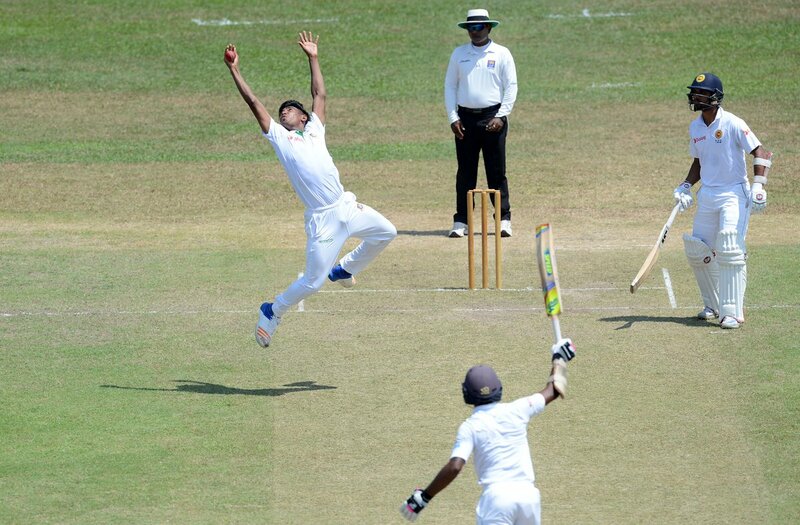 Mustafizur picked another wicket in his return spell. Mehedi Hasan Miraz got his first wicket of the match in the 78th over. Skipper Mushfiqur Rahim used all the bowlers to give them some bowling practice before the first test begins. Though two spinners Shakib Al Hasan & Taijul Islam failed to pick up any wickets, Taskin & Mustafiz’s fine bowling would provide something to cheer for the visitors from this match. On the other hand, BP XI captain Dinesh Chandimal was the standout performer who scored unbeaten 190 runs. The first test will start from 7th march in Dambulla.